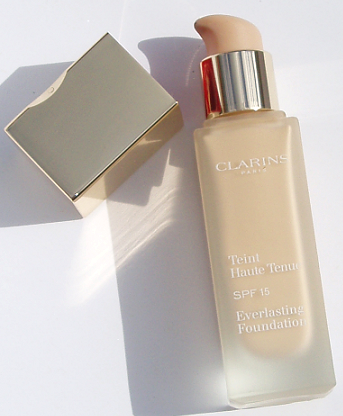 Clarins Everlasting Foundation has a gorgeously creamy and non-oily texture that smooths on in the morning and lasts for up to 15 hours. Its highly pigmented color provides total coverage without heaviness, enhancing the complexion with an even skin tone and an beautiful radiance. Continual moisturisation provides the optimal comfort for skin, and a protective shield skin from pollution, free-radicals and UV rays. According to Clarins, this foundation has a High Fidelity System (an innovative film that ensures long-hold), a Light-Optimizing complex that ensures complexion radiance and a plant-based micro-patch that controls moisture to keep your skin toned and comfortable. 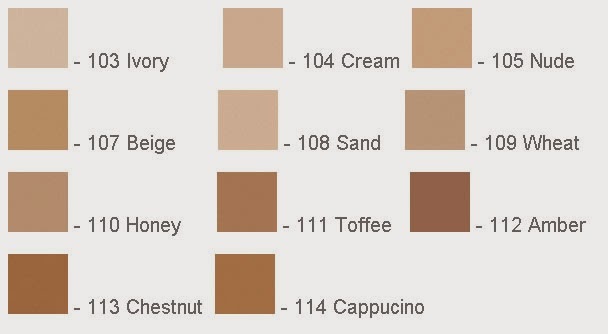 The shade selection of this foundation is very limited : only 11 shades available and only 8 in Europe, all leaning towards beige/warm tones. If you’re really pink toned or very yellow toned, you might find it hard to find a match within this limited selection. I have the lightest shade, 103, perfect for winter when I am more pale than normal. In my opinion this foundation has a lovely creamy-liquid texture, is easy to apply and to blend . For a transparent result this foundation can be applied with your fingers, after you warm it a bit on the back of your hand. For a flawless, even application you can use a stipple brush and for a more sophisticated finish and maximum cover you can apply it with a sponge. This product is non-oily and suitable for oily skin, even if Clarins claims this product is for all skin types. If your skin is dry then you might find this foundation to matte and heavy on you skin and your face might look a bit unnatural and aged. If your skin is between combination and oily, this foundation has a semi-matte finish and it will give enough coverage to hide minor flaws, spots and blemishes. For oily skin, this foundation will last good if you will set it with some loose powder and also use oil-absorbing papers and do some touch ups now and then . Clarins promise up to 15 hours of wear but that doesn't imply it will last 15 hours. Up to 15 hours can mean 13hours or maybe 8 hours or just 1 hour :))). What I love about this product ! Great packaging, love the elegant look of the glass pump bottle and the gold cap. It is perfect for pictures, very photo-friendly product, lovely creamy-liquid texture, nice soft scent, easy to apply and to blend, no oxidation during wearing and you only need a drop to cover your entire face. 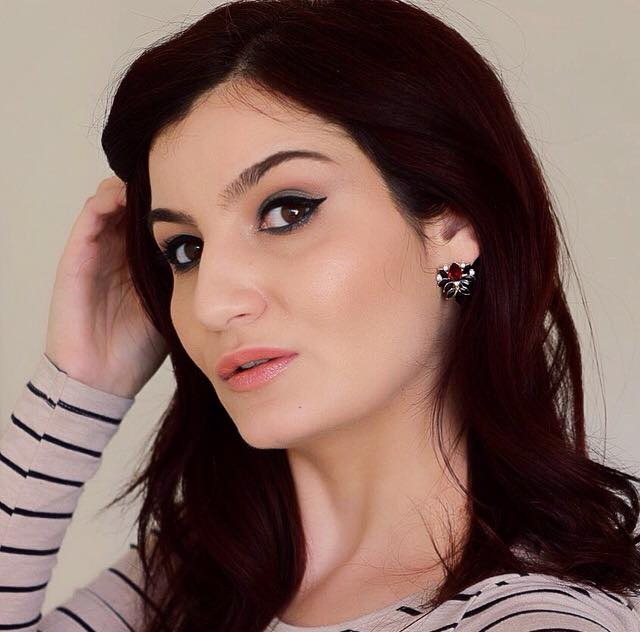 For a long wear foundation it feels light and soft on skin and also very comfortable. Easy to put on and also off at the end of the day. It has antioxidants that will protect your skin from external aggression and SPF. I find it great for winter. In the picture above you can see how my face looks when I have this foundation on . I have to mention that on my neck and cleavage I did not add any foundation and concealer was not necessary. What I don't like about this product ! On the box it says that is non transferable, but sadly it is transferable and you can notice when you blow your nose. The everlasting name is a bit exaggerated as during day you need to do several touch-ups with powder or oil-absorbing paper and I just hate to do touch-ups during day, especially when I pay 36 euro for a long wear foundation. Not particularly mattifying and doesn't keep oiliness at bay. I recommend this foundation to someone who has normal to combination skin, to be avoided if your skin is dry as it can be to heavy and look like unnatural. If you skin is oily you can also give this foundation a try, it does not irritate acne prone skin, but you will have to do a lot of touch -ups and extra powder during day. I rate this product with 4 stars out of 5 just because I love how it looks in the photos and also because it is easy to apply and to blend. 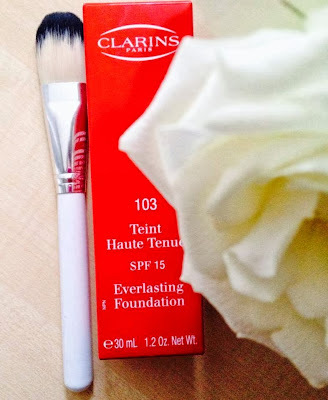 Have you ever tried this foundation or any other Clarins foundations? What is your favorite long-lasting foundation? Thanks for the review! I Just got it so im going to try it. Let me know how it works for you !